Discussion in 'Works-in-Progress' started by Desenrrollado, Jan 17, 2019. Ohh god, incrible this is everything i want for years, 64 bits will change all perpective for use mods <3 thank you modders, cheers. Is there away to make it work for the gog version tho ? I'm getting the error where I should buy the game and stuff. I have the game though? 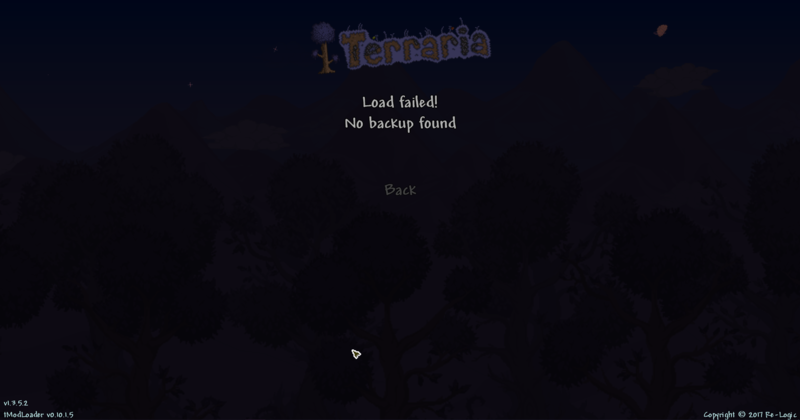 and have replaced the file in the terraria folder, etc. do I have to re-install terraria to get this to work or something? i keep on getting a terariahooks error, i assume its not supported? For some reason, the music is not loading or working at all, making it seem VERY weird, almost as if something bad is going to happen, anyone know a fix to this? You dropped ffmpeg.exe in the content folder? Also make sure the music conversion mode in tmodloader settings is set at Convert on Demand. Yup, I did all of that, and its not working. Any thing else I could do? Join the discord, I'll be able to give you a better help here without flooding the thread ^^ I'll see what I can do there, probably will ask for a of couple detail. Alright, thank you, I will move over there now! Maybe someone knows why the RecipeBrowser mod conflicts with some other mods, causing an error? So recipe browser need a special version to work, N.E.F and Sound Crit Effect probably use some method that got removed from 0.11 (since 64bit is based on a very early 0.11 commit, which was the most stable at that time, even more stable than the release build). Also, running the latest version? Dradonhunter11, Now there are no problems. Thank you very much for your help. Be careful! Crit Sound Effect does not work correctly with this. When you try to enter the world - it crash the map forever. do you get anything in the crash log? No, only the following error when trying to enter the world. After the mod is disabled, the map will also not be able to start. Error in world generation, using only mod Tremor and stands still in this part.